Your idea of a million-dollar home — multiple bedrooms, tennis court, outdoor kitchen, jacuzzi — might be accurate for properties in many U.S. cities, but $1 million will hardly buy you a one-bedroom apartment in some of the world’s mostexpensive housing markets. Read on to find out how much space you get for $1 million in the 10 most expensive real estate markets in the world, according to CNBC, and why these locations are so attractive to buyers. 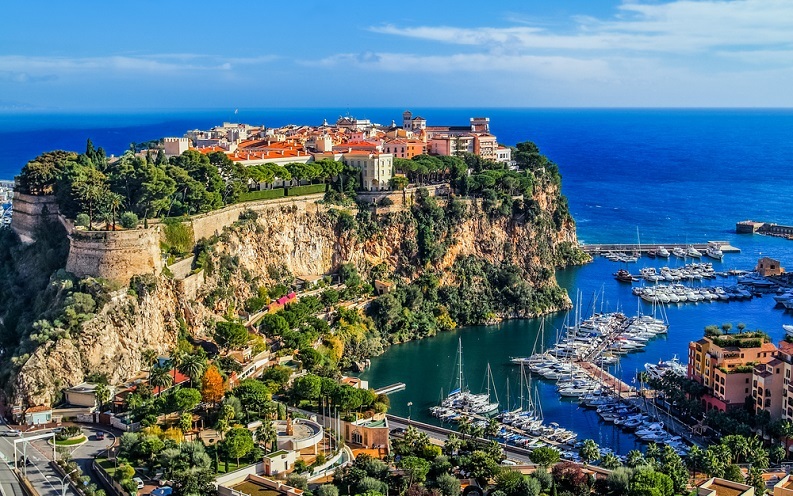 Monaco, a country about the size of New York City’s Central Park located on the Southern coast of France, is famous as a tax haven for the ultra-wealthy. One in three Monaco residents is a millionaire — and they need to be because the city-state has some of the steepest real estate prices on the planet. For $1 million, you get about 12 square feet of luxury property. Prime real estate can cost up to $9,000 per square foot, reports CNN Money. Housing is so expensive that yachts are often shown by real estate agents along with flats and condos. Hong Kong’s economy has boomed in the past decade, and property values have rapidly expanded along with it, growing by more than 300 percent, according to The New York Times. With property costing about $4,510 per square foot, microflats have become a popular option in Hong Kong. One microflat — 275 square feet — on the outskirts of the city sold for $722,000 in 2014. High prices have kept many lower-income city residents from buying homes. Only about half of the people in Hong Kong own their own homes, according to Forbes. A major global financial hub and densely populated metropolitan area, London has long been a pricey place to live. Home prices in some parts of London surged by 32 percent in 2014 alone, reports The Daily Mail, and the average home price in the historic city is nearly 20 times the average salary in Britain, according to The New York Times. Singapore is a bustling city that has attracted the ultra-wealthy of Asia and beyond. As its population has climbed to around5.5 million, the city’s cost of living has shot up, earning it the distinction of being named the most expensive city in the world of 2015 by the Economist Intelligence Unit, according to the BBC. For $1 million, you can get a space of about 19 square feet. The good news is that the city has enacted several housing measures in recent years to help keep the city affordable for lower-income households. These housing rules have also helped tamp down home prices, which actually fell by 4 percent in 2014, reports Bloomberg. A lakeside city in Switzerland, Geneva is an idyllic location popular among tourists and wealthy expatriates enticed by the country’s substantial tax breaks. Living in the city means paying some of the highest housing prices in the world, however. For $1 million, a home buyer can get a space about half the size of an average hotel room in the U.S. Buying a condominium in Geneva costs 14.6 times the national average income, far above the costs of homes in other Swiss cities, according to a report from Swiss bank Credit Suisse. The report also projects that Geneva housing prices will fall by 2.8 percent in 2015. New York City continues to rule lists of the most expensive places to live in the U.S., and home prices are a big reason why. The median listing sales price in New York City is $1.2 million according to Trulia. New York City home prices have gone up 5.2 percent in the past year, according to Zillow, but the real estate site predicts that growth will slow to 1.1 percent in the coming year. Certain New York City boroughs have seen huge jumps in housing prices. Douglas Elliman Real Estate, the fourth-largest real estate company in the U.S., reported that median sales prices in Queens increased 20.7 percent from 2014 to 2015, and Brooklyn prices saw a similar boost of 17.5 percent. Despite a decline in housing prices in 2013, Paris is still one of the most expensive housing markets in the world. For $1 million, home buyers can purchase a space that’s about 21 square feet. With the dollar strong compared with the euro and housing prices trending down, now might be a good time for American expatriates to consider investing in a residential property in Paris. Despite having experienced housing booms in the past decade, Russia’s economy has been hurt by a fall in oil prices in late 2014 and sanctions against the country, reports Financial Times. Russia’s largest city and capital, Moscow, is feeling the pain of the downturn. Much of the decline in Moscow property values, however, can also be attributed to the strengthening of the dollar over the rouble. In Shanghai, China’s most expensive city, a luxury property priced at $1 million would be about the size of a small one-bedroom apartment in the U.S. High down payment costs and other factors have kept the current housing bubble in China from bursting, and relaxed policies on second and third home sales have kept the Shanghai real estate market stable, according to Forbes. Chinese news site Shanghai Daily reported in June that Shanghai new home prices have continued to rise, especially in the luxury sector.